Orange Olive Oil Cake with Candied Oranges is one of the best things I’ve ever eaten, and I am not a cake person. I find most cakes to be insipid, dry, or cloyingly sweet, or -worst of all- all three, and I’m most emphatically not a frosting person. While I admire the fluffy, tall creations with sky high frosting for their beauty, I just don’t love to eat them. Normally, I avoid cake. This one, though? Now, I may not be a cake person, but I most certainly am an orange desserts person, and that sounded darned good. I tinkered around and came up with a cake that met their description and fell in love with a cake. This Orange Olive Oil Cake with Candied Oranges isn’t a dump-and-stir cake; it requires a couple of bowls and a little attention, but none of it is hard, and oh my goodness, but it is worth it. It is light, has a fine crumb, is perfectly moist but not sopping, is beautifully fragrant of oranges, has just a hint of warm cardamom, and is festooned with thin slices of orange lovingly candied in honey and cardamom syrup. And for me to say that about a cake, you know it needs to be amazing. 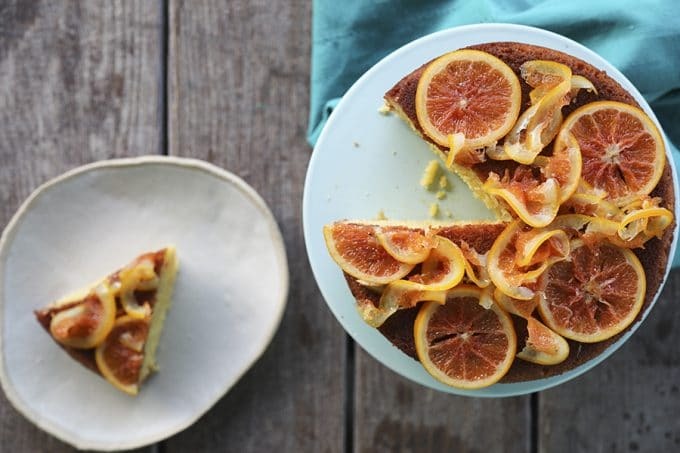 I would serve this lovely Orange Olive Oil Cake with Candied Oranges as an elegant dessert while entertaining or as a far-better-than-the-average bulletproof coffee/tea time snack… assuming I had kept myself and my husband away from it long enough for it to last. What kind of olive oil should I use in baking? There’s no easy answer to this one because so much of which olive oil you choose for baking is down to personal preference. I like to use light olive oil for baking. I prefer it because it doesn’t have a strong flavour in the baked goods, but still gives that amazing texture that olive oil imparts to the baked goods in which it’s used. There is often confusion with “light” olive oil, and many people think it is a reduced fat or lower calorie option. It isn’t. I promise. It’s just been filtered and refined a bit more to make it a more neutral flavour with a higher smoke point. But oh the beautiful things it does to cakes. If you’re super bent on using extra virgin olive oil, though, you can with some caveats. Use the most excellent, first-cold-pressed olive oil you can find. You want an extra virgin olive oil that tastes fruity when you sample it. The cake will taste much richer with a distinct taste of extra virgin olive oil. Semolina flour is not negotiable in this recipe; it is integral to the perfect final texture of the cake. If you’re wondering what to do with the remaining semolina flour (HELLO MORE CAKE! ), you can make this wonderful semolina bread or no knead whole wheat pizza dough. I made my cake with Cara Cara oranges because I think they’re pretty and I love their perfumed aroma. If you can’t find those, though, navel oranges or mandarin oranges will do. If you choose oranges that have seeds, be sure to discard them. You can choose to leave the candied oranges sticky and drippy and wonderful, or you can add a little crunch to the party by tossing the oranges with additional granulated sugar when they come out of the syrup but before cooling on the rack. Either way is delicious. It is imperative that you use a clean dry bowl and mixer to whip the egg whites, otherwise they just won’t whip. 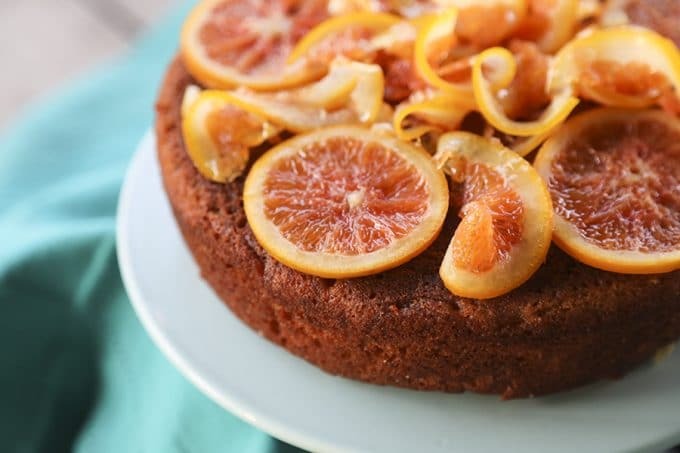 I like to drizzle each piece with a little of the leftover orange syrup before eating, but that’s strictly optional as the cake is wonderful on its own. Store the leftover cake tightly wrapped at room temperature for up to a week. 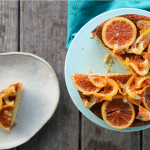 If you love Orange Olive Oil Cake with Candied Oranges, you might love these cakes, too! Orange Olive Oil Cake with Candied Oranges is light, has a fine crumb, is perfectly moist but not sopping, is beautifully fragrant of oranges, has just a hint of warm cardamom, and is festooned with thin slices of orange lovingly candied in honey and cardamom syrup. Gently adapted from Bon Appetit. Bring a saucepan of water to a rapid boil and add orange slices. Boil 1 minute then place in the bowl of ice water to shock until cooled. Drain. In a large skillet over medium heat, bring 1 cup sugar, honey, 2 cups water and 2 tablespoons orange juice, and crushed cardamom pods and seeds just to a boil, and heat until sugar dissolves (stir occasionally). Simmer gently (do not boil) the orange slices 45-60 minutes or until rinds are slightly translucent, turning every 15 minutes. Use tongs to transfer the orange slices onto a cooling rack and sprinkle with sugar if you'd like them less sticky. Allow them to cool completely at least 1 hour but up to overnight. 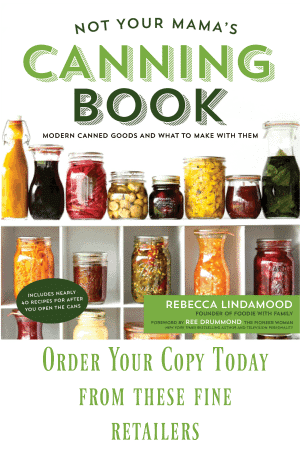 These can be used immediately or stored in an airtight container at room temperature for up to 1 month. Strain and reserve the orange syrup for the cake. If you have any leftover syrup, use for another purpose, but discard after 1 month. Preheat oven to 350°. Brush a round cake pan with olive oil. Whisk together the all-purpose flour, semolina flour, baking powder, cardamom, salt, and baking soda. 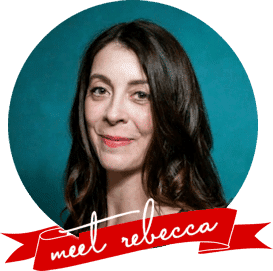 In the bowl of a stand mixer fitted with a beater paddle or in a large mixing bowl with an electric mixer, beat 1/4 cup sugar and 1/2 cup oil in a large bowl for 1 minute. Beat in the egg yolks, then the flour mixture. Beat in the yogurt, zest, and vanilla. Use a clean, dry bowl and clean, dry whisk attachment or electric mixer to beat the egg whites in until they form soft peaks. Gradually beat in the remaining 1/4 cup sugar until they form firm peaks. Fold half of the egg whites into the batter until even, then fold in the second half of the egg whites until just even. Transfer the batter to the prepared pan and smooth the top. Bake the cake until it is lofty and a skewer inserted into center comes out clean, about 25 minutes. Slightly rewarm the reserved orange syrup so it is just hot to the touch. Pierce the hot cake all over with the skewer you used to test the cake. Slowly drizzle 3/4 of a cup warm syrup all over. When syrup is absorbed, slowly pour 3/4 of a cup more syrup over the cake. Reserve the remaining syrup for serving. Let the cake cool in pan on a wire rack. Run a flexible spatula around edge of pan to release the cake from the sides. Arrange candied orange slices over. Cut into wedges and serve drizzled with more syrup. This is so up my alley! I’m not a big cake fan (except gingerbread, no icing), but this looks amazing. Candied orange peels!!! Love them. Do you have a recommendation for olive oil? I suspect which type/brand is important here. I love candied orange peel, too! In this case, I think a good light olive oil works best. As far as brands, that’s just down to personal preference. I tend to use Wegman’s store brand light olive oil because I know it’s a good quality.